Yesterday I did an all day birding adventure which started at Okeeheelee Park at sunrise and after a total of six parks I ended up at Grassy Water Preserve. During my driving around, from park to park, I spotted a Swallowed-tail Kite gliding through the sky. This time I only saw one as oppose to four flying together. 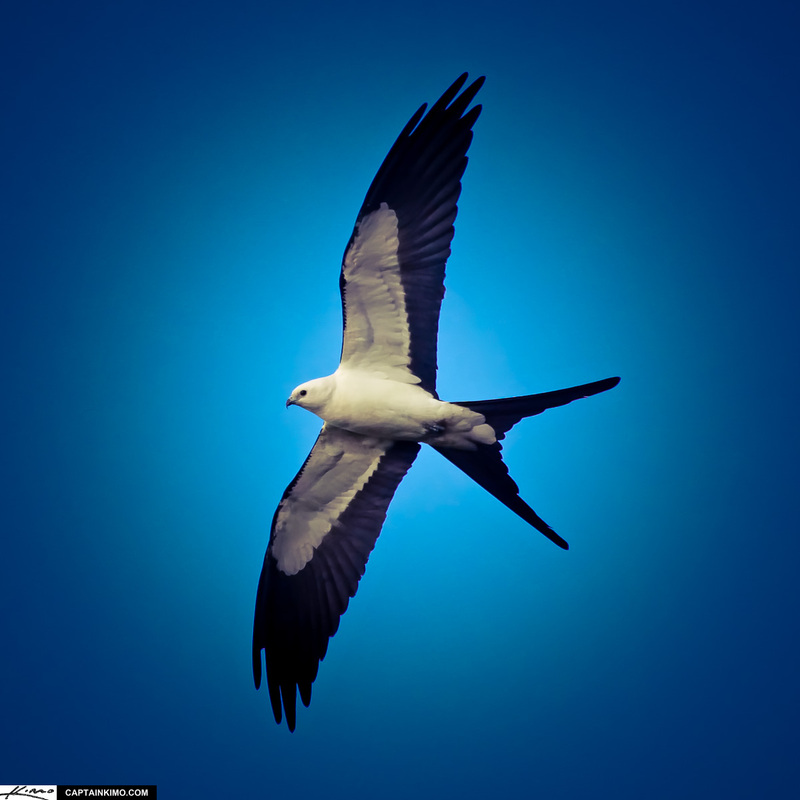 I think this is my best exposure of a Swallowed-tailed Kite, with a good amount of detail in the white and black areas. I did some extra processing in Lightroom so it wasn’t just another boring blue background. I also like how the extra tones give the image a more polished look.